Blurtt (iOS) - Find, caption and share photos! ~ Android Forever! Blurtt (iOS) - Find, caption and share photos! A well-known fact: The caption makes the photo. In fact, photos without captions can seem pitifully bare. What are we supposed to think about them? What do they mean? Is there something funny about them? Who knows, if there's no caption! If you have an ounce of creativity in you, you'll want to get and use this app. Search for photos on the web or use your own. 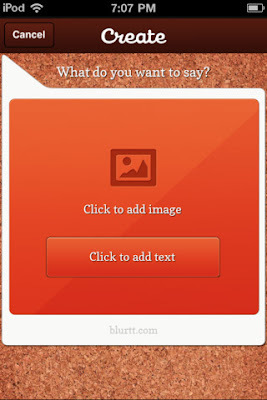 Add awesome captions and share the results with individuals, your friends, or the entire photo-caption-loving world. Blurtt is FREE in the iTunes App Store!